gay adults was no longer sustainable. The incandescent light bulb, center, is about to be turned off for good as LED, left, and compact fluorescent bulbs take its place. If you want to shed some light on 2014, you’ll have to do it with one of those ghostly halogen or fluorescent bulbs, thanks to a new federal law banning production of the familiar incandescent light bulbs — just one of hundreds of new rules and regulations taking effect across the U.S. with the new year. 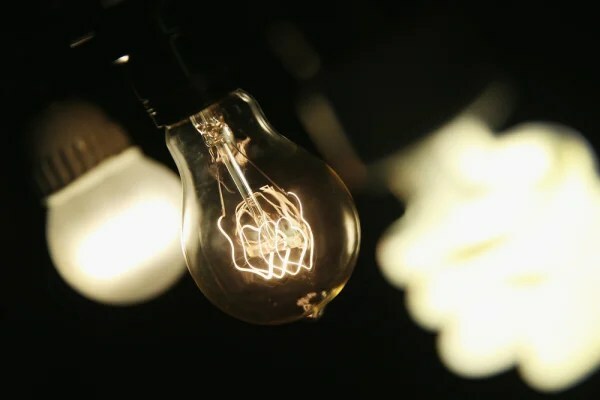 Many of the new laws have fundamental and far-reaching effects, like the quiet elimination of the incandescent light bulb familiar to Americans for more than a century. U.S. companies stopped making 100- and 75-watt incandescent bulbs a year ago, but New Year’s Day flips the switch on the second phase of controversial federal legislation, banning production of 60- and 40-watt bulbs. The government wants you to use more energy-efficient alternatives, like halogen or compact fluorescent bulbs. “I think the customer doesn’t realize what’s going on,” said Fussell Hughes, manager of Hughes Hardware in Albany, Ga.
Oregon and Illinois will no longer allow teens to use tanning beds unless they have a doctor’s note. Incandescent bulbs aren’t the only lights going out in the new year. “Is the next step to ban teens from sunbathing at public beaches and pools?” the association says in a position statement. Vending machines are also transforming, thanks to new federal regulations requiring them to provide calorie counts for the snacks inside. Vending machines will begin posting calorie counts to help you make smarter food choices. But will it work? NBC News’ Joe Fryer reports. Manufacturers say the rule will force them to cut jobs to make up the cost of reconfiguring their machines, but the Food and Drug Administration says the savings in health care costs will dwarf any economic impact on the front end. And Obamacare kicks in for real Wednesday, as new insurance bought through health exchanges will begin covering patient treatments. Many more new laws will affect the residents only of the states where they were passed. California, for instance, will become the first state to require websites to tell users how they track and share personal information Wednesday, while Oregon will begin banning employers and schools from requiring job applicants to turn over the passwords to their Twitter, Facebook and other social media accounts. Gourmets in Delaware won’t be able to get shark fins for their shark fin soup — the demand has forced sharks into endangered species status. In California, students will be allowed to use bathrooms and join sports teams “consistent with their gender identity” — even if that’s not what it says on their birth certificates. In Illinois, it becomes illegal for animal rights activists to use drone aircraft to monitor hunters and fishermen. Illinois will start publishing the names of drivers who stiff tollbooths if they owe more than $1,000. Mothers in Oregon will be finally be allowed to take their babies’ placentas home with them. Overall, the National Conference of State Legislatures,which tracks such things, says all U.S. states, commonwealths and territories passed nearly 40,000 new laws in 2013.